The Chocoholics Diary.com: Fanny May Just in time for Father's Day! Fanny May Just in time for Father's Day! Receive a free one pound box of Assorted Chocolates when you order $29 or more in merchandise. The minimum amount does not include shipping and tax. Free gift is automatically added to your order and will be shipped to the billing address. Offer valid over the phone by calling 1(800)333-3629 or online at www.FannieMay.com; not valid in retail stores. To redeem promotion online enter key code in the promotional field or when phoning in your order provide the agent with your key code. Promotion cannot be combined with other offers or to existing orders, valid until expiration date listed. Receive a 15% discount when you order $29 or more in merchandise. The minimum amount does not include shipping and tax. Discount will be applied to merchandise amount and is not applied to shipping, tax, discounted items or gift cards. Offer valid over the phone by calling 1(800)333-3629 or online at www.FannieMay.com; not valid in retail stores. To redeem promotion online enter key code in the promotional field or when phoning in your order provide the agent with your key code. Promotion cannot be combined with other offers or to existing orders, valid until expiration date listed. Receive free UPS Ground shipping when you send $29 to each address. Addresses that do not receive $29 in merchandise will be charged the full shipping amount. The minimum requirement includes merchandise only and does not include shipping and tax. Free shipping promotion does not include expedited or international shipping services. Offer valid over the phone by calling 1(800)333-3629 or online at www.FannieMay.com; not valid in retail stores. To redeem promotion online enter key code in the promotional field or when phoning in your order provide the agent with your key code. Promotion cannot be combined with other offers or to existing orders, valid until expiration date listed. Dollar off promotions are valid online at www.FannieMay.com only. One offer per customer and expires on date listed. Dollar off amount is taken off of the merchandise amount and is not applicable toward discounted items, gift cards, shipping or tax. Offer cannot be combined with other promotions or added to existing orders. Offer is not available on all products and is subject to restrictions, limitations and blackout periods. Void where prohibited. Dollar off promotions are valid online at www.FannieMay.com only. One offer per customer and expires on date listed. Dollar off amount is taken off of the merchandise amount and is not applicable toward discounted items, gift cards, shipping or tax. If you order discounted items only you will not receive free UPS Ground shipping, order must contain a non-discounted item in order to qualify for free shipping. Offer cannot be combined with other promotions or added to existing orders. Offer is not available on all products and is subject to restrictions, limitations and blackout periods. Void where prohibited. 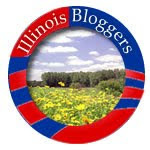 hi just found you from IL bloggers, I'm in the FAR north burbs of Chicago. I came across your blog via Entrecard. Love it!!! I am adding it to my blog lost, on my blog.